On behalf of the group of cancer patients Ingar Roggen tells Her Royal Highness Camilla that when one has been through a cure that drains ones forces, the challenge is to return to everday life, and that the program of the Grete Waitz center contributes in a unique way to the recovery and healing of the patient. 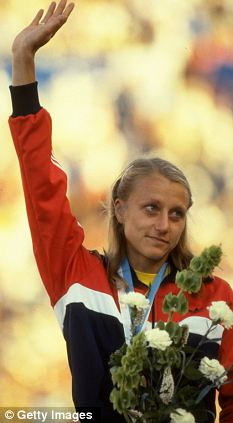 Appealing to an ancient custom Ingar Roggen then asks a favor of Her Royal Highness: Spread the word of the importance of this project, which also is due to a Queen, the Queen of Marathon, Grete Waitz. Then, in the background, the voice of Her Majesty Sonja is heard, promising that they will do so.